Spring is in the air, finally. And as soon as the snow melts, it becomes pretty apparent just how harsh the winter has been on your home and yard. Home buyers in Collingwood tend to wait for the spring market to make a buying decision. However, since there are more listings on the market, you are going to have to stand out amongst your competition. Here are five tips to help your home stand out this spring. The long Collingwood winter is sure to have left its mark on your yard and home. In order to get ready for the spring, an outside clean up is a must. 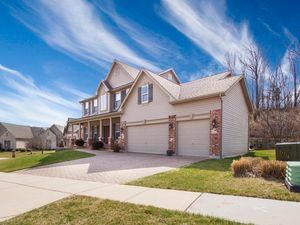 Pressure washing your driveway, cleaning out your gutters, and removing debris from your yard and walkway will give your house the Spring pick up it needs. Clean the windows and the exterior frames; touch up the exterior doors and trim with paint, if necessary. Excellent curb appeal can make all the difference when the market heats up. Freshen up the inside and make sure you’ve removed all the clutter. Surfaces should be clear and dust free. Take this opportunity to “start packing”. Put away personal items so the buyer can envision theirs in the home. Wipe down light fixtures and appliances. Check the doors, cabinets, and windows to make sure they aren’t squeaking. Adding a fresh bouquet of flowers will also add colour to the home. Dust off that patio furniture and break out the barbecue. It is time to liven up those outdoor spaces. Replace any cushions that haven’t fared very well during the winter. Set everything up as if it was the middle of summer and you are about to entertain some guests. The idea here is to allow the buyers to see themselves enjoying the area. Freshen up the flowers beds and gardens with some low maintenance plants and a new layer of soil. Make sure all the little things get done. Remember all of those small jobs you've been putting off? Now's the time to pay attention to them. Fix leaky taps. Touch up baseboards. Check your vents are all screwed on properly. If there are any cracked tiles or marks on the floor, get them fixed. Don’t forget any touch-ups on the walls as well. A fresh coat of paint is one of the best things to do to spruce up a home. If that isn’t feasible, washing the walls and paint touch-ups can go a long way. If your budget allows, add a new coat of paint to the door and window trims. The first thing a buyer is going to notice when they step into the house is the amount of light. Make sure that as much sunlight as possible seeps into the home. Replace light bulbs with ones that replicate daylight. Consider buying bulbs with a higher wattage than you are used to. Again, light matters. Opt for light and neutral-coloured accessories - think white or beige throw pillows and blankets. It would also be a good idea to replace the bedding to light colours as well. To learn about the spring market or how to make your home stand out, don’t be afraid to get in contact with Christine now. 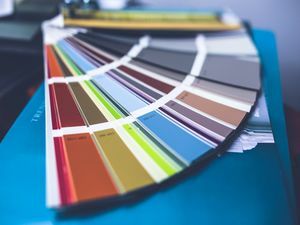 How do you choose the right exterior paint color for your home? Here are several tips to make this difficult decision a little easier.